Today’s head-scratching headline teaches us to never come between a person and their beloved chocolate candy. 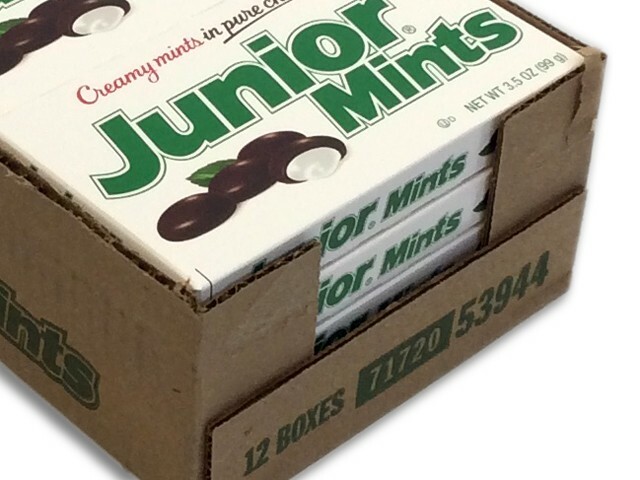 A federal class-action lawsuit filed three months ago alleged that boxes of Junior Mints have “too much air” and not enough candy. Now, two more consumers have joined the complaint against Tootsie Roll Industries, USA Today reported. The lawsuit claims the company deceives customers by shortchanging them of the mint-filled chocolate treats. And let’s be honest: Anyone who’s been left hungry at the movies can probably relate on some level. And Daniel isn’t the only disappointed chocolate fan. Queens native Abel Durand was added to the complaint, claiming that his 4.13-ounce box of candy was only 77% filled. He had bought the Junior Mints at a Garden City movie theater for $4.49 on December 28th. Mississippian Trekeela Perkins faced a similar conundrum at her local Walmart. She said that a $1.29 box of Junior Mints she purchased also skimped on the candy contents, according to USA Today. So, what does Tootsie Roll’s lawyers say? They reportedly claim the slack fill protects the Junior Mints from damage, thus increasing the candy’s value. They also reiterated that the net weight, serving size, and amount of candy is clearly marked on every box. Furthermore, the lawyers argue that the plaintiffs haven’t proved how, exactly, they’ve been “injured” by fewer pieces of candy, according to USA Today. Alas, the Junior Mints consumers in question still believe they’ve been misled. Regardless of whether you agree with the plaintiffs or the defendant, here’s the moral of the story: People can get pretty heated when it comes to their chocolate.